iWatch rumors seem to have died down a bit amongst the iPhone 5C rumours that have been taking center stage in the run up to the September 10th event, but a recent report has some interesting news about an ETA and also pricing. Taiwanese trade publication DigiTimes published a report which suggests that the iWatch is a least a year away. 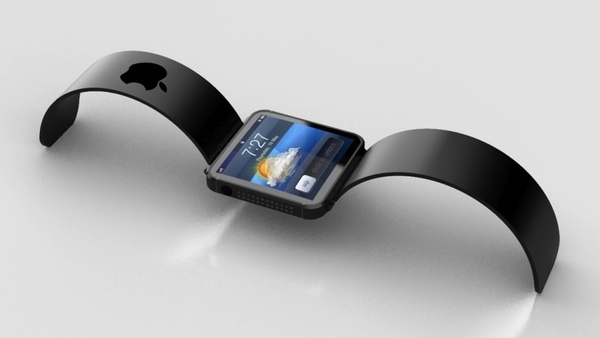 More precisely, the report states that the iWatch is likely to be released in the second half of 2014. Additionally, the iWatch is expected to retail for between $149 and $229, as a contract manufacturer ODM Inventec is expected to secure as much as sixty percent of iWatch orders and contribute to about nineteen percent of profits in 2014. What this means is that the iWatch is expected to sell, and sell big. Interestingly, the analysts seem to expect consumers to be purchasing the iWatch to replace their iPods. CIMB Group estimate that iWatch shipments will reach approximately 63.4 million units in 2014 and contribute to an incremental $10 to $15 billion in revenue. The interesting point to take from this report, which as always should be taken with a pinch of salt, is the cost and the fact analysts seem to be thinking that the iWatch will be marketed as replacing the iPod. Previous iPod Nano’s explored the watch market and entertained the idea, but will a watch really be marketed to fully replace an iPod? The iWatch and iPod seem like two different products, but with overlapping price points may represent an opportunity to combine the lineup. As mentioned, the iWatch is expected to land in quarter 2 of 2014, so don’t expect to see it hitting stores anytime soon – it is rumored that Apple engineers are working hard to figure out issues with running a full iOS 7 whilst optimising the battery. It is very much a watch this space situation.